Recently, one of our customers had a requirement to track Raptivity interactions within Captivate. Captivate doesn’t expose methods by which it can track any outside SCORM objects within it. However, it does support a Multi-SCORM packager which one can use to track different SCORM packages together. 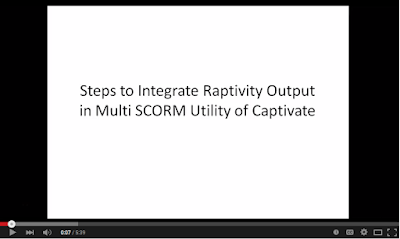 Here is a short video which would explain the steps of tracking Raptivity SCORM output (both Flash and HTML5 output) using the Multi-SCORM packager utility of Captivate 8. Hope you find it useful. 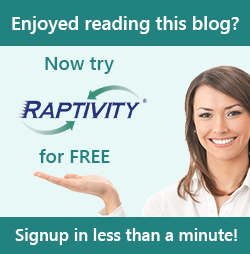 Do write to support@raptivity.com for any queries regarding this utility.